"The reasons that made us stay in the faction are no longer relevant." 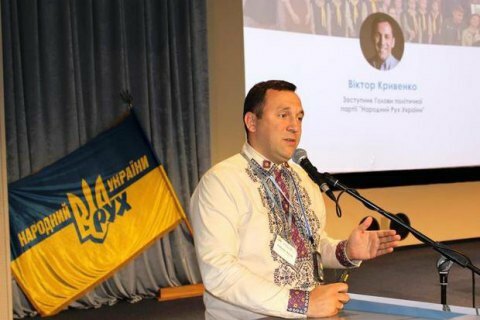 Deputies of the Verkhovna Rada Viktor Kryvenko and Pavlo Kishkar decided to withdraw from the Petro Poroshenko Bloc faction. "The reasons that made us stay in the faction are longer relevant," he wrote. The deputies are dissatisfied with the pressure on the National Anti-Corruption Bureau and the Rada Committee on Prevention and Combating Corruption, Kryvenko said. They will also insist on the fulfilment the key positions in the coalition agreement, including open-list elections, and removal of parliamentary immunity. "If the key pledges are not fulfilled we will pull out of the coalition," Kryvenko said. The Speaker of the Rada, should read out deputies' statements at the plenary session to make their pullout from the faction official. In September 2015, Kryvenko and Kishkar were expelled from the Self-Help faction. In March 2016, the two deputies joined PPB and joined the party People's Movement in April.